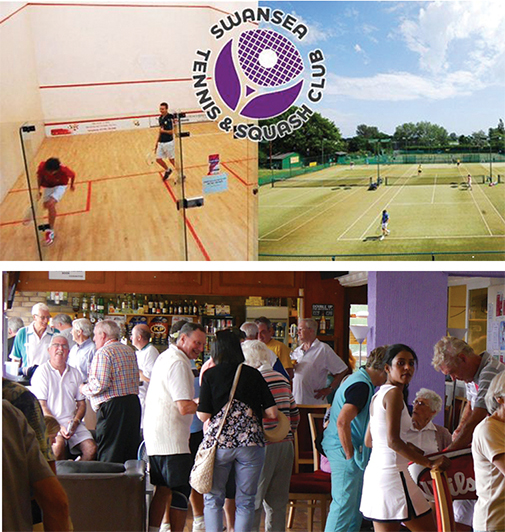 Swansea’s only independent tennis and squash members club is throwing open its doors from 6pm on Tuesdays for tennis and 6pm on Fridays for squash and racketball, to just come along and join in the fun. As well as free adult games, players who join the club at a great discount will also get a FREE coaching session. With a bar offering a wide range of drinks and refreshments and a balcony with an exceptional sea view, adults who choose to join the club will enjoy a 50% discount. The club is located behind the King George V Playing Fields on Mumbles Road and as club manager Nigel Rees says: “This is a great opportunity for visitors to discover what’s on offer, meet the coaches as well as current members and generally get a feel for our friendly and welcoming club. Established in 1964, the club has undergone significant refurbishment and boasts nine outdoor tennis courts, 6 with floodlights and four indoor squash and racketball courts.